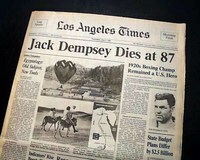 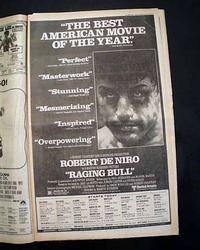 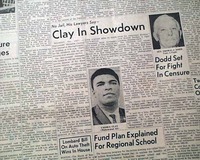 This 24 page newspaper has a two column headline on page 8: "Challenger Liston 13-10 Favorite To Dethrone Clay" with 2 small photos and the tale of the tape. 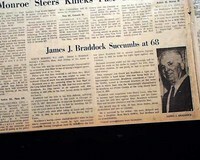 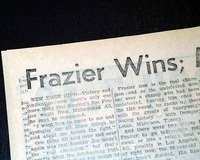 This 6 page newspaper has a four column headline on page 4: "Frazier Wins; May Retire". 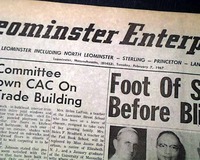 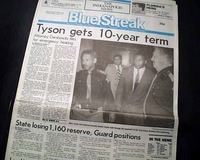 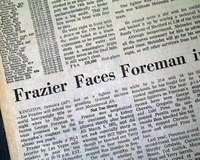 This 28 page newspaper has a seven column headline near the bottom of page 14 that reads: "Frazier Faces Foreman in Tough Title Test Tonight". 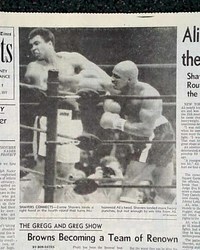 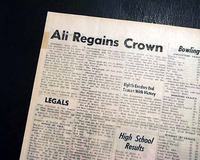 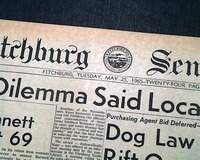 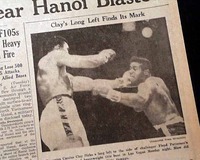 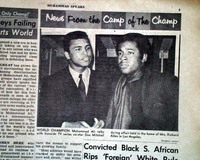 Page 6 has a three column heading: "Ali Regains Crown" 1st report coverage on the "Rumble in the Jungle" heavyweight boxing title fight between Muhammad Ali and George Foreman. 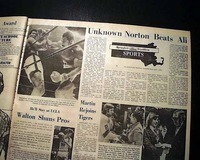 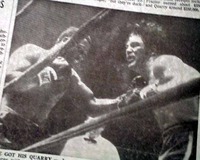 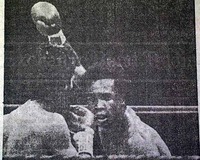 The sport's section (page B7) has a headline that reads: "Prefight Food Spree And Leonard's Style Too Much for Duran" with related photos including Leonard's famous bolo punch (see photos).